Rovio has found yet another way to keep the Angry Birds franchise fresh. 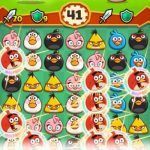 Angry Birds Action is a new Android and iOS game that combines classic mechanics from the original game with those of pinball machines, and it was released as a way to hype the new Angry Birds movie. You can play as Red, Chuck, or Bomb, or you can also play as Terence, who “just destroys everything” in his way. 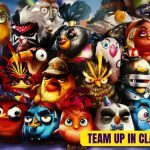 There are also BirdCodes located in various places in the real world, such as in theaters or on Angry Birds toys; according to Rovio, you can scan those BirdCodes and access new content, power-ups, mini-games, and other goodies. The company also hints that you can unlock a new area in the game, as well as an exclusive movie clip, by watching the end of the Angry Birds movie. As we said earlier, Rovio has kept things fresh, and that means a whole new list of things to learn, even if you’ve played an Angry Birds game before. 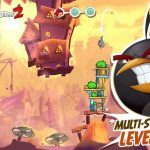 So let’s take you to our Angry Birds Action strategy guide, where we talk you through different aspects of the game, and help you complete more levels with a perfect three stars. Angry Birds Action is one of those games where it is strongly suggested that you connect it to Facebook so you can enjoy it to the fullest. If your game is connected to your Facebook account, you’ll have access to a host of special features, such as checking how your scores compare with those of your friends. You can also ask friends for energy, which means you don’t need to risk screwing things up game-wise with the time lapse cheat, or wait for quite a while until your energy replenishes. Red, despite being the leader of the group, is arguably the least impressive, as he has no special skills aside from destroying things. Chuck is the yellow, super-fast member of the Angry Bird, while Bomb, as his name suggests, blows up things. Terence is the big, fat bird who looks just like Red, but is a lot larger and can cause much more damage. That’s basically the four Angry Birds in the game, explained in a nutshell, and you’ll need to choose the right bird for the right mission. Each of those birds also have their own weaknesses, so you’ll have to take that into account as well. Additionally, you won’t be able to switch birds after you’ve started a level, unless you restart or run out of attempts. On other occasions, you’ll need to use all of your birds, and have them work together toward a common goal, or goals. And those goals may include removing a long line of big obstacles. What should you do in such an event? You can use one of your birds to remove those obstacles, sacrificing him in the process; Bomb, for instance, can explode on those obstacles and prevent newer ones from cropping up. At the start of a level, you’ll be asked to spin a wheel, and while you may get a positive result at times, there’s an equal chance you might get something considerably less desirable. The luck of the draw, or, in this case, the spin of the wheel can often be the difference between completing a level and failing it. But if you’re unlucky, you can take stock of the mistakes you have made so that you don’t make them again in the future. Boosts may be capable of making you change direction, or they may come in the form of bomb crates. They may even be boosts disguised as obstacles. Take a look at the layout of the level before using boosts, and make sure you’re using them to get as big a benefit as possible. And know what those boosts do, and what’s it going to be in it for you if you use them. Many games are accused of being cash grabs because they make power-ups so rare that you have to buy them with real money if you don’t have the patience for them to appear again. Or they may not come with free power-ups at all. 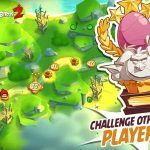 Rovio, however, wants you to win more power-ups for free. Still that doesn’t mean you should use them in any way you feel is right, or at any time in the game. You should still use them prudently and save them for when you really need them. It can be argued that it’s a good idea to practice on a level without power-ups, then replay that level if you did it right the first time, sticking to your strategy that worked. But if you’ve tried and failed repeatedly to complete that level with even one star, you may really need to use a power-up, just as long as your failure wasn’t due to the bad luck of the draw we told you in the tip right above. And this completes our guide for Angry Birds Action. Stay tuned for updates to this guide, as we will share more tips for the game, once we come across some new ones.